A Hebrew translator; born in Provence in 1384. Assisted by his father, Abraham Bonet ben Meshullam, he, at the early age of fifteen years, translated Arnauld de Villeneuve's work, "De Judiciis Astronomiæ," from Latin into Hebrew under the title "Panim ba-Mishpaṭ" (Methods of Judgment). This translation still exists in manuscript. In 1399 he also translated Sacrobosco's "Sphæra Mundi" (On the Astronomy of the Spheres), under the title "Mareh ha-Ofanim" (The Indicator of the Spheres). 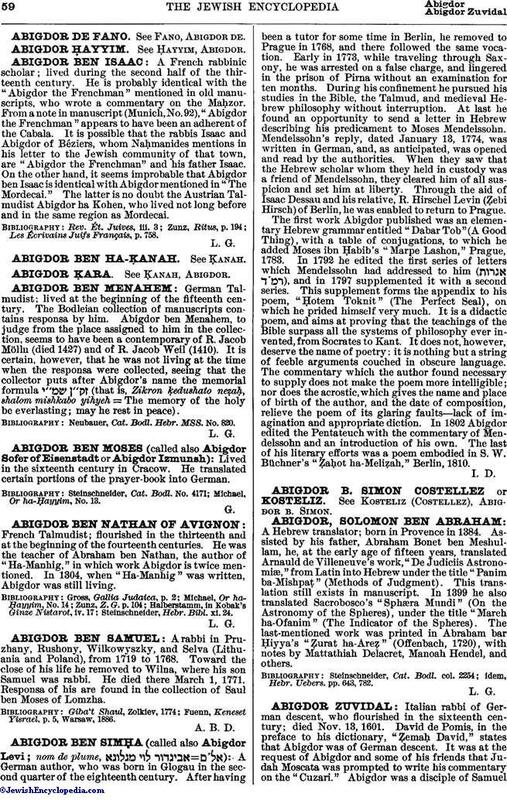 The last-mentioned work was printed in Abraham bar Ḥiyya's "Ẓurat ha-Areẓ" (Offenbach, 1720), with notes by Mattathiah Delacret, Manoah Hendel, and others. idem, Hebr. Uebers. pp. 643, 782.